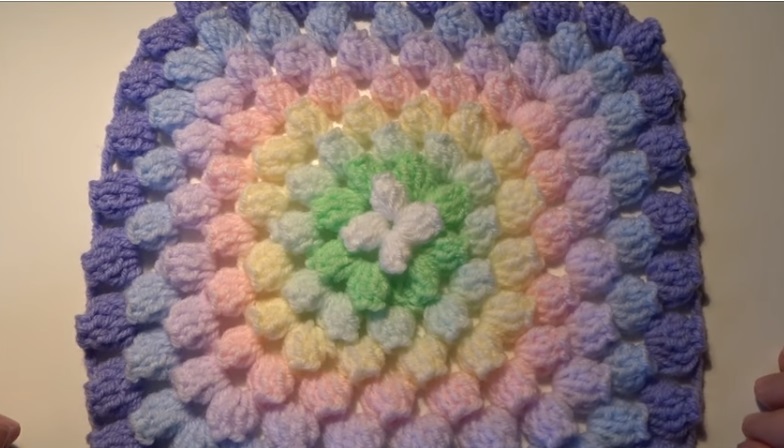 Popcorn square is a wonderful piece of crochet art. The appearance of the square is so 3D that you can’t stop looking at it. The special thing about the popcorn stitch is that it is very puffy. The pufiness of the stitch is very important when you are dealing with projects like pillows and covers, because you want them to have that soft feel. The pillow cover made out of the popcorn stitch is a rather beautiful and useful one (you can see one in the bottom of the image). Make sure to follow the instructions and you are going to learn how to crochet yourself a beautiful popcorn stitch square.